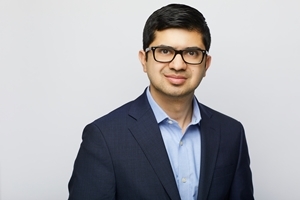 Saad Baig is a Director in StrategyCorp’s Public Affairs group and brings six years of experience advising senior cabinet ministers in the Government of Ontario. Most recently, Saad was Senior Policy Advisor to the Minister of Finance where he was a pivotal part of the team that tabled Ontario’s first balanced budget in ten years. He served as the lead advisor to the Minister on matters relating to tax policy, economic policy and municipal finance. Saad led the development of the 2016 Fall Economic Statement and 2017 Ontario Budget in key areas including transportation, infrastructure, economic development and international trade. Prior to joining the Ministry of Finance, Saad spent over three years as the lead advisor for infrastructure policy to several ministers where he participated in key negotiations on federal-provincial infrastructure matters, designed municipal funding programs, developed infrastructure planning legislation and coordinated policy and issues for two crown agencies. Saad has been involved in numerous political campaigns at the municipal, provincial and federal levels including the 2014 central campaign for the Ontario Liberal Party. He holds a degree from the University of Waterloo in Economics with a specialization in Finance.